- Flip-top cap which holds in position when lifted open. 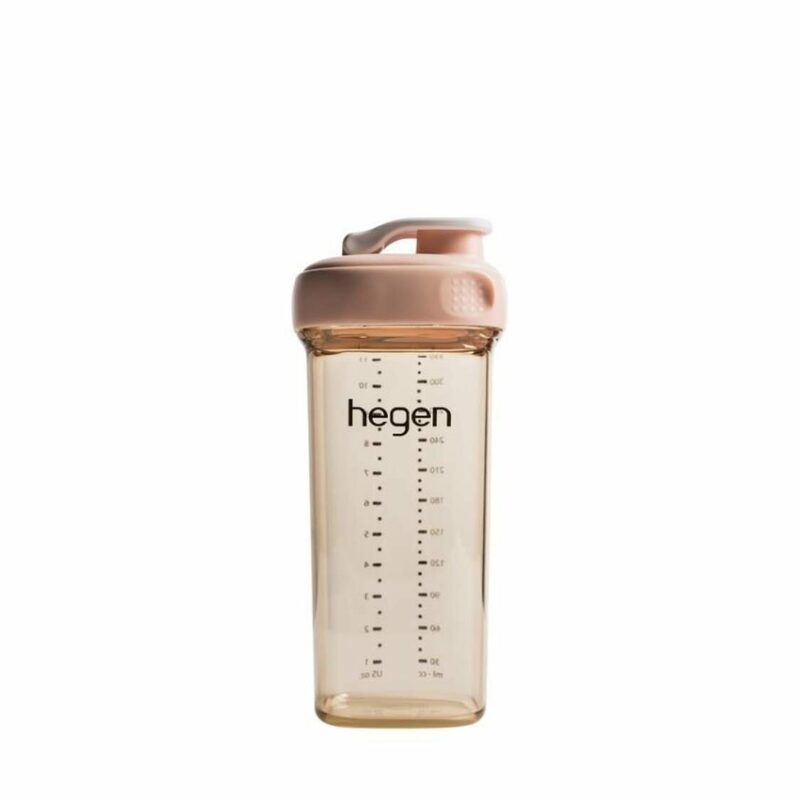 More than just a drinking bottle for the whole family, Hegen PCTO™ Drinking Bottle PPSU, 330ml/11oz is the world’s first drinking bottle with a unique one hand close. Useful for parents with their hands full, no screw threads, just Press-to-Close and Twist-to-Open! Preparing a bottle has never been this simple. The drinking bottle with its flip top spout, enables easy drinking for both mother and child. Perfect for toddlers or children transitioning from bottle to cup feeding, or perfect for coffee on-the-go to keep mummy energized all day!